That’s just over two weeks away and, as promised we’ll be releasing the Special version in place of the standard release; any current owners of either the Steam version or PS4 (EU or US) will receive this as an update on release. The localisation means the fully-voiced Data Mode is now subtitled, so you non-Japanese fans can finally experience the depths of Pig’s dishonesty! …And understand the story, of course! Groove Coaster fans, its time for the third and final Touhou Tuesday! In this weeks third Touhou release we have 4 the following 4 songs for purchase as single DLC at $1.99 a song or you can purchase the 4 song DLC pack at 20% off! Head over and check out the bundle on Steam HERE! The 4 songs in this weeks release are listed below.  As a special bonus all users who own Groove Coaster will receive the following Touhou Project character avatar of “FLANDRE” for free! After nearly two years of development for 4 platforms by 1 guy, Degica Games is excited to announce the manic, PVP, battle-shmup, Rival Megagun, will be out on November 29th for PS4, Steam, Xbox One, and Nintendo Switch! 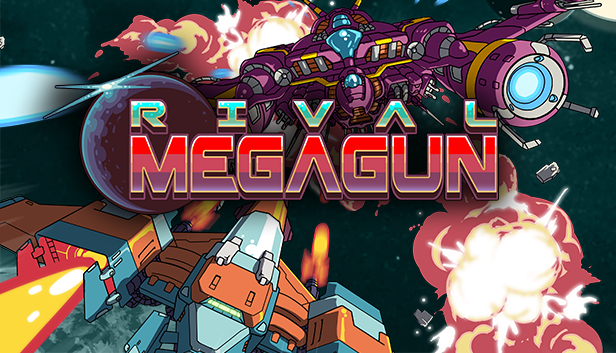 Rival Megagun is a competitive split-screen vertical shmup (or shoot ’em up, shooting game, STG) where you transform into a gigantic boss ship – your “Mega Gunship” – to invade your opponent’s screen. Last November, we at Degica released the long-awaited Visual Novel Maker. It had spent a long time in development, but it was finally here. The perfect engine to allow anyone to make Visual Novels. Easy to use, no coding required, and tons and tons of customization. Then, in March, The Pirate’s Fate, a Visual Novel made in the Engine, hit Steam! The game is getting rave reviews from the Steam userbase, so our community manager Nick decided he would catch up with the designer for the game, T.F. Wright, to see what he had to say about his game, Visual Novel Maker, and what it’s like making a game for the first time! First of all, from what I’ve read, you are the designer and writer for The Pirate’s Fate. Is this correct? And what all does that entail as far as the work itself? Yes, I did the writing and the coding for the game. My business partner, Volkenfox, did the artwork. So, tell us a little about the game itself. What kind of game is it? What do you feel is the main focus? 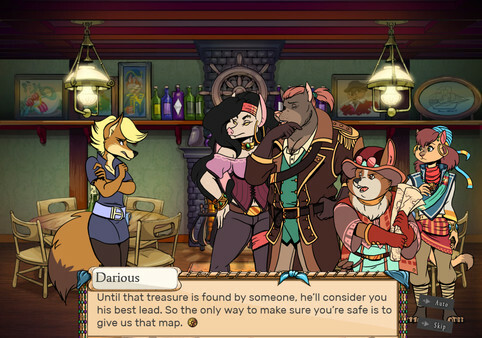 The Pirate’s Fate is a visual novel that defies the norms of its genre. It has over 300 choices, which are so meaningful that they transform you – literally. The moral consequences of your decisions physically transform you and the crew, and the story along with it. There are 8 unique branching plot paths, and over 2 dozen endings. In The Pirate’s Fate, you play as Mila, the newest member of the Dread Pirates. You’ll navigate stormy seas, seedy saloons, and monstrous coves in search of loot. And be warned: you aren’t the only pirates seeking this treasure! You mentioned moral consequences. Being a story about pirates, are these moral choices going to skew towards the grey, or more black and white? With two dozen endings, it sounds like the decisions could be very complicated. Yes, my goal was to create a game which had “grey” choices. Lots of games (like Fable) have a binary good or evil system. But I think that’s boring – there’s no real case for being evil, so there are no actual moral dilemmas involved. Plus, the fact that you can clearly be on either the good or evil path means you sort of decide beforehand what to do. In The Pirate’s Fate, each of the 8 different plot paths have their own justifications and their own downsides – you can make a case for why the choices that lead to them are right or wrong. So you have to stop and think about what you are doing with each step along the way. It’s a bit complicated, but I also think it’s fun to play a game that actually challenges you to think about your actions. It does seem like a lot of games give you the option of “be a reasonable human being” vs “being the jerkiest jerk”. Can you give an example of a decision you might have to make in your game that highlights how your game is handling it differently? Sure. One example is you’re looking for a coin, being kept by a dishonest baker. You try to buy the coin from him, but he won’t give it to you. One of his former employees talks to you, tells you the man is bad news and suggests that you break into his business and rob him. You have two choices – do you rob him, or do you tell the baker about the former employee, and let her get arrested for conspiracy to commit burglary? That is a difficult choice. So, what inspired you to make a game like this? I’ve wanted to make games since I was young, and I’ve always really liked the ‘choose your own adventure’ genre. When I was young, I learned to read on the Goosebumps books, I really enjoyed their ‘choose your own’ style adventures. I read a lot of choose your own adventure books as a kid, too. Do you see Visual Novels as the video game equivalent of the old choose your own adventure books? Kind of discouraging the idea of gaming the system, then. Exactly. I feel like lots of times when you play games with dialogue, the player thinks to themselves “okay, what do they want me to say here…” But in The Pirate’s Fate, every choice is potentially valid. If you veer too far away from the main story, you might wind up in a secret ending – some of which are also canonically tied to the main story. So I try to reward players for going their own way, instead of forcing players to figure out what it was that I decided was the “correct” decision. So you mentioned having wanted to make games since you were young, have you made any games before this, or is this your first game? This is my first game. Actually, when I was first planning it, I remember thinking, “okay, The Pirate’s Fate will be my test game, sort of learn how to make games, and then, after that, I’ll make a real game.” But when we debuted the idea, the response that we received from fans was so overwhelming that we knew we had to make this one count. So with Pirate’s Fate, you used Visual Novel Maker. Was this the plan the whole way through development, or did you start with another engine first and move to VNM later? I made the “proof of concept” demo on Tyranobuilder, another VN engine. Then I learned about Visual Novel Maker and knew I wanted to use that. I started coding on VN Maker around May of last year, after I was accepted into their pilot program for developers. So what drew you to Visual Novel Maker as an engine? 2 things – first, I had very little programming skill before this project. I had to teach myself how to code to do this. So I was attracted to the fact that there was a drag and drop interface and it wouldn’t be too hard. Second, I liked the fact that there was so much support for things like special effects. I really wanted to push the limits of what could be done in a Visual Novel. Being part of the pilot beta program, we know that there were definitely some bugs that you got to deal with while we were still finalizing things, but how was your experience working with the engine? What would you say was the easiest thing to do in the engine? What was the trickiest? Where would you like to see improvements? The special effects support was the easiest and best thing about Visual Novel Maker. I was able to create fade-ins, masking, flashes, characters falling and moving about, and other really interesting effects. I was also able to have the interface evolve graphically as the story progressed, which was a goal of mine. All of these were implemented very painlessly. Weirdly, the trickiest hurdles were often simple stuff. We had some trouble with things like saving and loading and making sure the skip and auto buttons worked the way they were supposed to. But the staff at VN maker has always been very helpful and I’m glad I was able to talk to them and resolve these issues. I understand that because it was a new engine there would be kinks to be worked out, so I know that the problems I experienced are not a weakness of the program itself. 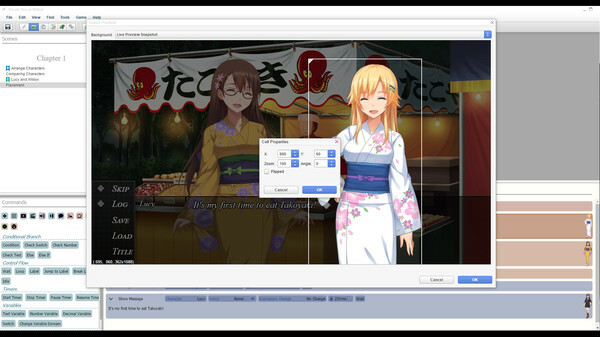 Are you planning to make another game with Visual Novel Maker? Starting soon, or are you more focused on The Pirate’s Fate for the moment (perhaps planning some updates/dlcs?)? Right now, we’re still making some updates, and we may create an expansion. After that, then yes, I certainly would like to make another game. I would like to use Visual Novel Maker again, yes, if I am the one coding it. I may hire a full-time coder to help me next time, so if they have a preference for a different engine, I would defer to them, though. So having finished your first game, what advice would you give to someone out there who wants to make a game, but hasn’t started yet? What do you wish you had known before starting? There’s so much that I could say! I wish I had known a few things. First, it took a lot longer than I thought. So plan for that. Lastly, I would say know in advance what you want to do. If your goal is to make a game for fun, as a hobby, maybe as practice for becoming a pro one day, great! If your goal is to become a pro, then you probably need to devote full-time attention to the game right away. Any final words for the interview? Thanks for doing the interview, and good luck on the continued success of The Pirate’s Fate, and the dev of your next game! Interested in using Visual Novel Maker yourself? It’s currently on sale for 25% off on Steam! You heard right: there’s an Umihara Kawase speedrun contest being held in Kichijoji, Tokyo this weekend on 6th May (Sunday) followed by a talk show featuring creator Toshinobu Kondo. It will all be streamed live via Twitch if you can’t be there to enjoy it! Keep up with the latest news on Twitter. And to celebrate (and prepare all the brave speedrunners) the Umihara Kawase games are on sale this week! It’s time for Cave’s annual festival, the Cave Matsuri, held in Akihabara, so we’re having a sale to celebrate! A live stream of Dodonpachi Resurrection from the Akihabara Alienware Store on Friday 19th 18:30 to 20:30 (JST) broadcast here. M2 will be talking about their new Cave ports and ketsui will be available for play on the PlayStation4 (with special gifts too!)! There’s also merchandise, such as ketsui 15th anniversary items, and a bag covered in Cave game logos. Be sure to pick up all our Cave games on Steam on discount! Already have them? I’m sure there is a friend of yours who doesn’t! Game Tengoku Ver1.06 update & Homura Banto DLC! 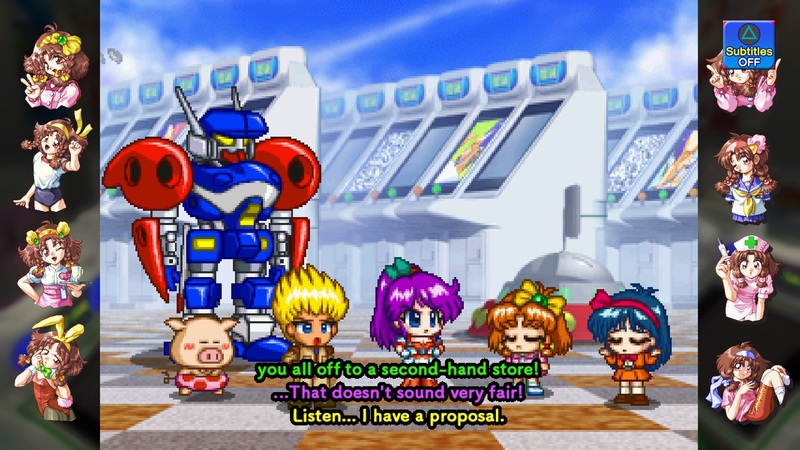 We have just released an update for Game Tengoku CruisnMix adding a new character (Homura from Jaleco’s Bases Loaded), some updates to Clarice’s DLC and a new stage for Time Attack! Stage 2 has been added to Arcade Mode +’s Time Attack Mode! 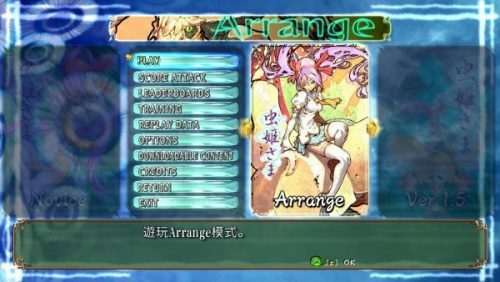 This adds a new character, a new support character, a new music track and Moero!! Pro Yakyu to Data Mode HD. This adds a new support character, and a new music track. The giveaway has ended and over 2,000 of you participated. Unfortunately, we only have 11 prizes, but we want to extend a thank you to everyone who entered, winner or not. 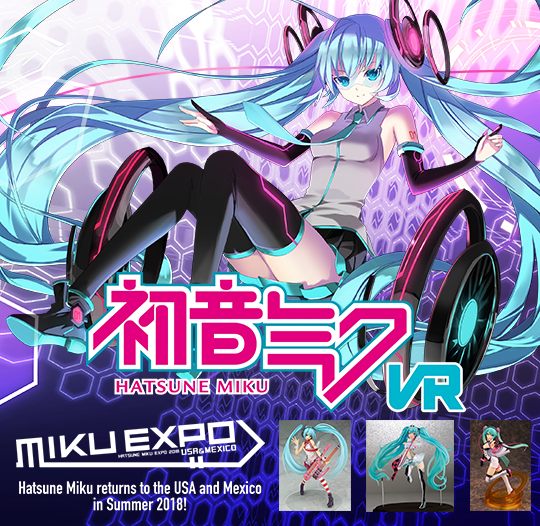 All of you helped us get the word out about this fantastic game, and now more people are enjoying the chance to dance with Hatsune Miku than we could have managed without you. But now, I’m sure everyone wants us to get to the main event: Let’s see who won! 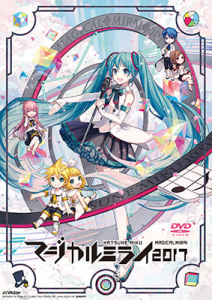 Don Pham: Hatsune Miku: Greatest Idol Ver. Fuluna: 1/7th Scale Racing Miku 2012 Ver. Congratulations to all the Winners! You will be getting an email with information on how to claim your prize in the next week! Also, thanks once again to everyone participated! Here’s to you winning next time! Lunar New Year Sale! OneShot and Mushihimesama in Chinese! It’s the Year of the Dog! And that means its time for some doggone good deals in the Steam Lunar New Year Sale! And in celebration of this Eastern holiday sale, let’s look at a couple of games that have just had Chinese language releases! Just this morning, the meta puzzle adventure game OneShot got two brand new languages added! With Chinese and Korean versions of the game, OneShot will get yet another shot at captivating another audience! In OneShot, you play as the young Niko. Niko finds that he is on a mysterious world, and must save it by reigniting its long-dead sun. This adventure will challenge you with puzzles that take things beyond the game window. 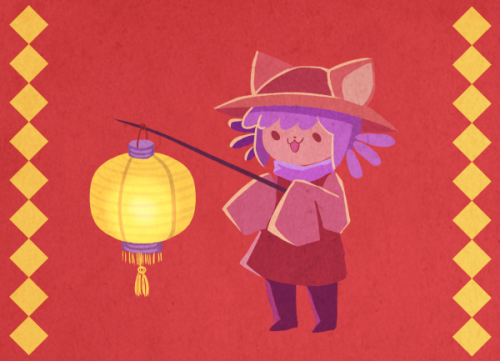 You can buy Oneshot here, and get 20% off in the Steam Lunar New Year Sale! Just a week ago, the stellar CAVE shooter Mushihimesama also got a Chinese language update! In Mushihimesama, play as Reco, a young girl looking to save her village from the deadly Miasma. Ride into battle on the trusty giant beetle Kiniro, and blast and dodge your way through some spectacular bullet hell shoot-em-up levels. You can buy Mushihimesama here! And remember, there are plenty of Degica titles in the Steam Lunar New Year Sale, so be sure to take a look and see which ones you’re missing! Welcome to our second rewind article, where we go back and look at earlier games we have released, tell you a bit about the background, and then tell you why we think you should play the game! This time, we’re taking a look at Crimzon Clover: World Ignition. Its hard to know where to even start with this game. 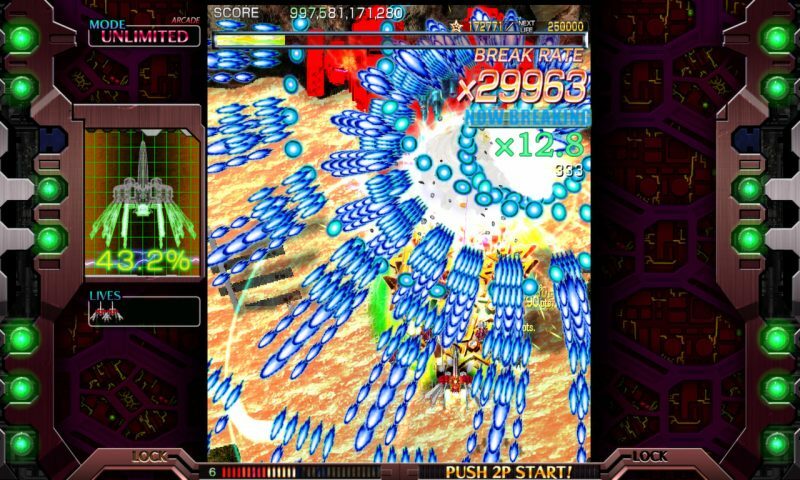 There are a lot of dojin shmups out there. A lot. And a whole lot of games that are inspired by CAVE’s mastery of the bullet hell genre. But very, very few that are critically lauded as being on the same level. Crimzon Clover: World Ignition is one of those games. Developed by Yotsubane (which, by the way is one person), the original version of Crimzon Clover was released at Comiket 79, right at the end of 2010. A clear hit, the game hit Windows PC and then Arcades in Japan. Then, finally, in 2014, it hit the international market on Steam with the newly upgraded Crimzon Clover: World Ignition. So why should you play Crimzon Clover: World Ignition. Because it’s streamlined awesomeness. Now, when you hear streamlined, don’t think I mean it is simple. Too often streamlining comes at the expense of something else. With Crimzon Clover, I mean it more in the way streamlining should be done: The unnecessary parts are cut away. The scoring is straightforward, but not simple. The mechanics are sophisticated without being clunky. You have two main fire buttons. One shoots a rapid fire shot. The second, activates a circle around the player, starting a lock-on. Release the button to shoot lasers at every target you’ve locked onto. Hit enough at once for a score multiplier. Then, you have the third button. The third button is where the distilled awesome lies. Over time you can build up your Break meter. If it is high enough, you can use the third button to use up the meter to drop a bomb. 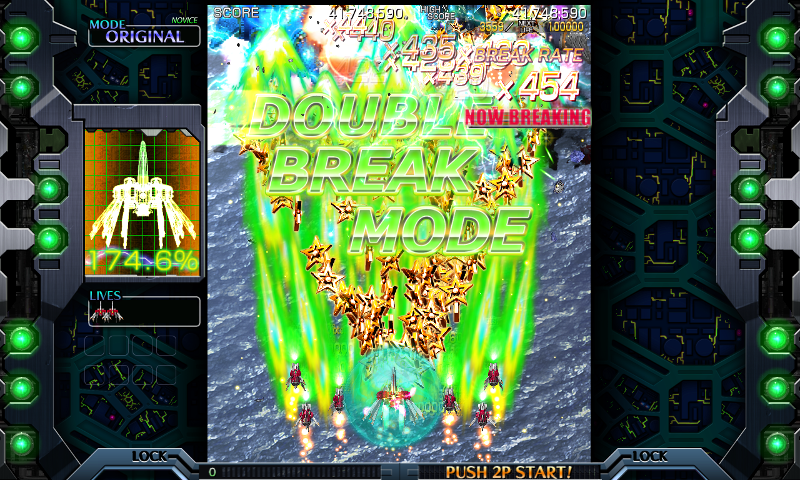 This is pretty similar to most shmups. Where the magic comes in is when you have a full break meter. At this point, pressing the third button instead sends you into Break Mode for a short amount of time. While in break mode, your damage and scoring is subject to a massive bonus, allowing you to clear out tons of enemies for a giant amount of points! You can even possibly enable a Double Break Mode, making your attacks even more devastating, and skyrocketing your score even higher! 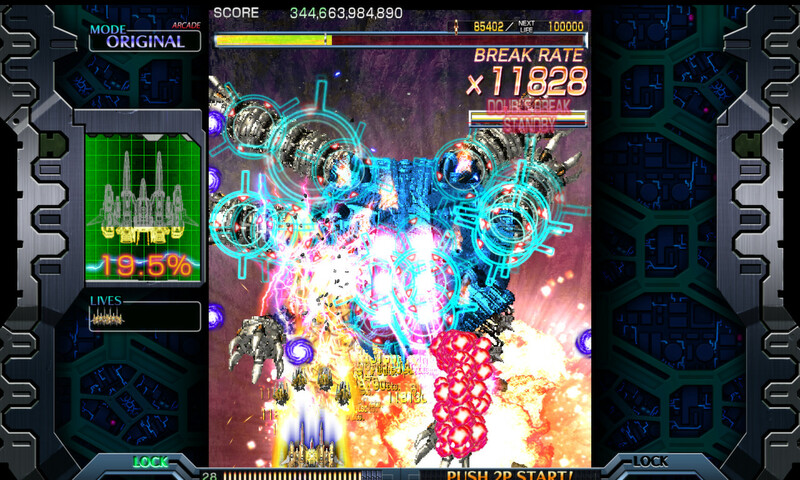 This combination of attacks leads to a bullet hell that is a whole lot of fun to play. Not too complicated for a beginner, and not too simple for a veteran. 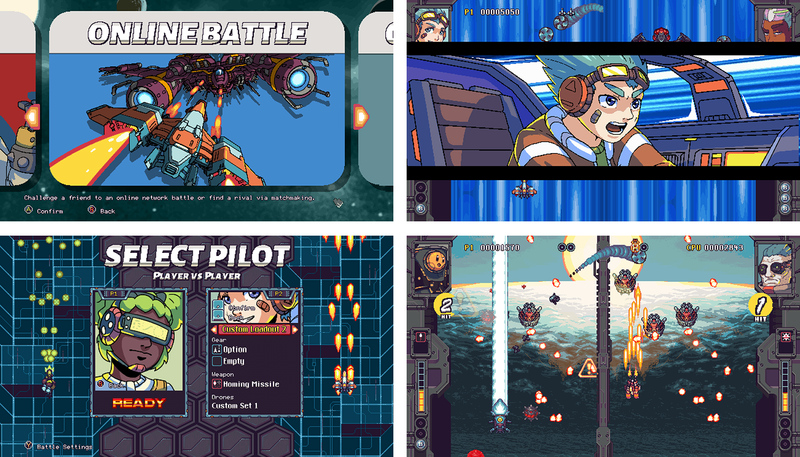 Crimzon Clover: World Ignition is a shmup that just gets it right.